Ok, I guess no one is expecting any effort on preservation of the country from the Bush side of the administration. Dig everywhere, pollute whatever as long as the big oil investors are satisfied and willing to pay for the election campaign. In this respect, Sarah Palin is quite cool. Now, what do you think of shooting wolves from airplaines? Can you think of anything more stupid? Maybe we can drop nukular bombs on the wolves dwelling areas and then collect the bodies. Radiation damage can be easily covered up, I mean, after tricking a nation into hating a non-existing organization (Al Qaeda) and convincing young soldiers to die for basically nothing (except oil and finance), that’s minor businnes. So yeah, Sarah Palin was on the right track. 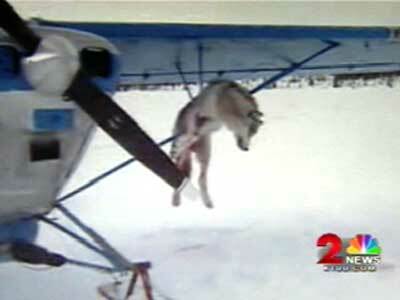 Shootin wolves from airplaines is surely an ancient tradition that we must preserve. Just like the ice age, you know, the newly evolved created Homo Sapiens Sapiens flying aroung in foot powered planes to nail sabertooth tigers. Yeah. The facts I’m talking about can be found here. So Sarah Palin was eager to spend contributor’s money to keep this wonderful sport alive. I don’t understand you guys. I mean, do you like better spending a day relaxing in the wilderness or shooting a wolf from a plane? And so on, there Rep’s will go on destroying what’s left of the planet. And YOUR country. So you can save 10c on your trip to the supermarket. And kill a wolf from a plane if you want. C’mon, please. Give the rest of the planet a break, blast off the old guy and that crazy daughter of a she-wolf . “Figli della Lupa”, here freely tranlsated in a witty pun, was a fascist organization in Italy (see ref.). ~ by Illerit on 7 September, 2008. HOW DO YOU THINK SHE’S AWESOME!!!!!!!!!!!!!!!!!!!!! SHE KILLS INNOCENT ANIMALS!!! THEY NEVER DID ANYTHING. RIGHT NOW, THEY’RE STRUGGLING TO COME BACK FROM WHAT WE DID TO DESTROY THEM!!!!!!!!!!!!!!!!!!!!!!!!!!!!!!!!!!!!!!!!!!!!!!!!!!!!!!!!!!!!!!!!!!!!!!!!!!!!!!!!!!!!!!!!!!!!!!!!!!!!!!!!!!!!!!!!!!!! I’M A WOLF LOVER AND I TAKE THIS VERY SERIOUSLY!!!!!! P.S. SHE IS A HUGE FRADEY CAT. SHE DOESN’T HAVE THE COURAGE TO STAND UP TO THEM. SHE SITS IN A FREAKIN’ PLANE!!!!!!!!!!!!!!!!!!!!!! That Poor Wolf! Gosh You Wolf Killers Aree’nt Human! That Poor Wolf It Didn’t Deserve That! I am deeply offended! I love cats and I don’t think any cat deserves to be called Sarah Palin! I love how people do not bother to understand sarcasm before posting. Why are you so mean to poor Sarah Palain. on pelts, on roasts, and especially as moving targets. You are a evil person!!! how would you feel if palin drove her plane over you and shot you just so she could hang your head on her livingroom wall!!! !